With the movie coming out soon, I saw a lot of different tweets from a wide range of people about how wonderful and beautiful this book was which therefore piqued my interest. I enjoyed this novel, though I will say it was a slower read with writing that felt a bit pretentious at times. It is a collection of loosely connected stories that all begin in the first half of the novel – making time jumps for each story – and all end in the second half of the story. If you have read Jennifer Egan’s A Visit from the Goon Squad, you will recognize loose character connections that design a higher theme. In this case I’d say the theme is one in how all of our lives are interconnected through time and that our experiences are cyclical… what was our past will become our future. In an interesting twist for me, I viewed an extended trailer for the upcoming movie and determined that it might do a nice job of clarifying the novel’s purpose and theme. 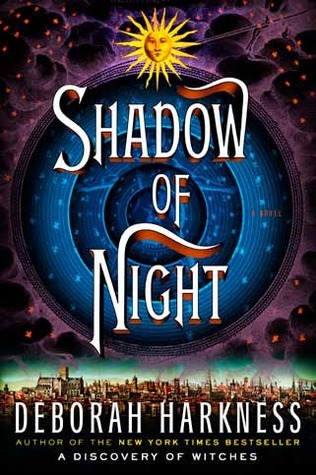 This is the second of Harkness’ All Souls Trilogy and I talked about the first one, A Discovery of Witches in my May Reads and Recs post. I enjoyed this one better, though it was probably longer than it needed to be. In order to find a witch that can teach Diana how to work and harness her own powers, Diana and her husband time walk to the past – the 1500s, – to accomplish this task. It is there that we learn much more about part of Matthew’s history, and also find that he is connected to, well, just about everyone who is anyone at the time. Harkness probably throws in more complications than necessary and with all of the name-dropping, I felt a little bit like Diana’s and Matthew’s purpose for their journey was lost until the latter third of the novel. However, what I did like was feeling Diana’s strength as a character that I felt lacked in the first book. I began to believe she was the woman that held her own that we were told in the first novel, but not ever shown. Diana’s and Matthew’s relationship grows stronger in important ways in this second book and Harkness’s storytelling is strong, successfully sucking me in wholly as I read the book from cover to cover in one weekend. This story is part survival story, part murder mystery – sort of. The narrator, Grace, is a survivor from a cross-continent shipwreck, but at the start of the novel we learn that she is to go to trial for murder. Listening to her recount the nearly two weeks that she and almost thirty others (at least at the beginning there are thirty) lived on a rescue boat from the sunken ship we wonder where this murder comes in. As for me, I wondered if there was truly a murder at all, or if it was a judgment in how this group managed to make it through so much time on not enough food or water. 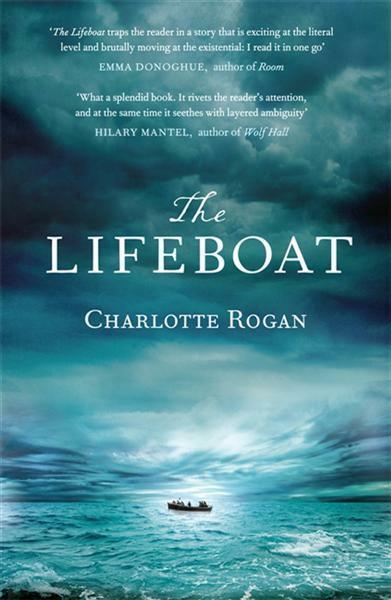 I enjoyed trying to determine if Grace was a reliable narrator or not, and while I enjoyed her observation of communications and relationships amongst key characters on the lifeboat, I was ultimately a little bit let down in how the story unfolded towards the end. This was a story that kept me fairly interested, but in the end, did not quite pull off a denouement to keep it a memorable one. Anyhow, the plot circles a man who, after violent circumstances, loses his memory the chaos begins when he discovers that he could be a dangerous assassin and as he struggles to figure out his life, he also finds that almost everyone around him wants to end it. 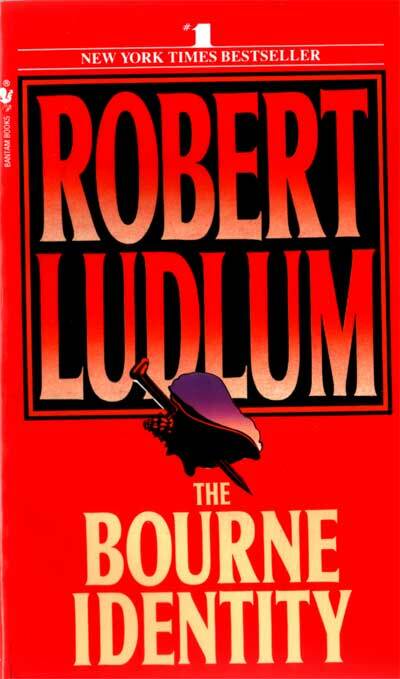 It could be my sentimental side that says it holds up after all of these years (published in 1980) in spite of the changed political and geographical environment, and there’s no doubt that Ludlum writes a bit over the top, but part of this still adds to the page-turning suspense and intrigue behind it. In other words, it’s still a favorite. And I bring a first to you in these posts: a book that I did not finish. This is quite a rarity for me. This novel has a great concept: a mother is in a school lunchroom when a random explosion occurs. The mother realizes her daughter is possibly trapped in a nearby bathroom, but two other children who are right by her need help getting out, too. 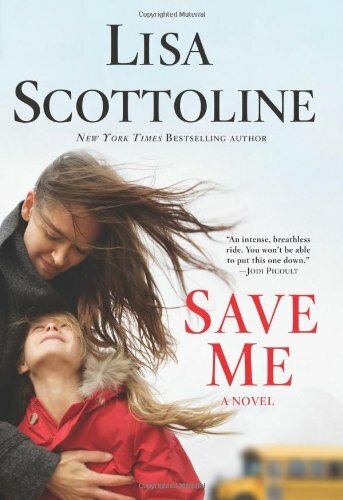 She makes the decision to help the kids join up with others who are evacuating, then races back to save her own child. The problem is, one of the other kids she thought had made it to safety, had apparently gone back into the building and dies later. Great potential conflict, but unfortunately, the execution is poor. A lot of the dialogue and actions seemed extremely far-fetched and while I can overlook some details, overall the whole story and characters lacked authenticity. I have not read any other books by this author, so if you have read this one, but found others of hers better, let me know and I might try her out again. The actual writing section? Yes, that was pretty good. To reference at least a couple other friends of mine who read it, he does give a more blog/conversational style to the advice rather than being overly didactic or rule-bearing. You can tell he speaks from both experience and true knowledge, but also not like a lot of “how to write better” sites that litter the interwebs. 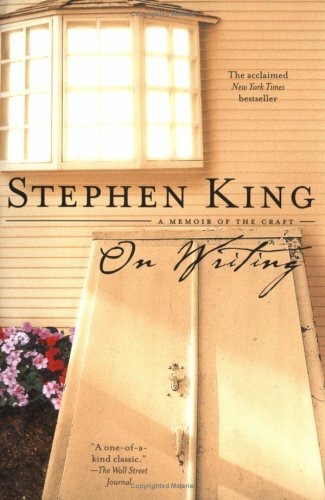 I confess that I didn’t personally feel like I “learned” much new from him, but the most valuable endorsement I can give it is that while reading it, I wanted to write, and I wanted to talk about writing and seriously, that is what all of the best methodology books do for any profession. A friend recommended this book and I agree that it was a good read. Mia and her family get in a car accident and Mia, a high school senior, is the only survivor, except, she isn’t quite a survivor, yet. 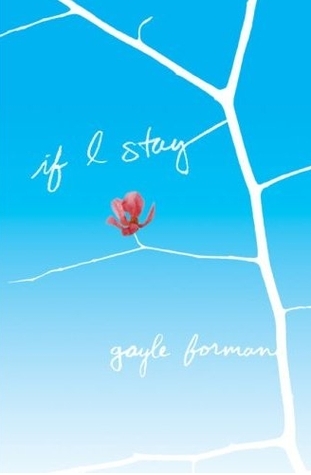 She is in a coma, but her spirit moves outside of her body as she recounts bits and pieces of her life story and blends them with the current state of her relationships in order to determine if it is worth living for. I liked Mia seeing how much her friends, family, and boyfriend cared about her. She is a cellist and has a neat relationship with a guy who is in a rock band. There is a precious moment with Mia listening to her grandfather’s words to her non-responsive corporeal form and I really loved the story with Mia’s father, a rocker himself, until he gave up his band. His choice to do so and hearing him share his reasons with Mia in one of her memories is lovely. Aside from the difficult tension at the beginning of the story with what you know is about to happened, this book is a poignant read and I love the set up that allows you to feel at peace with whichever decision Mia decides at the end. The title and cover of this book are enough to draw anyone in, right? I was a bit disappointed by this one, and it’s hard for me to pinpoint what it was. 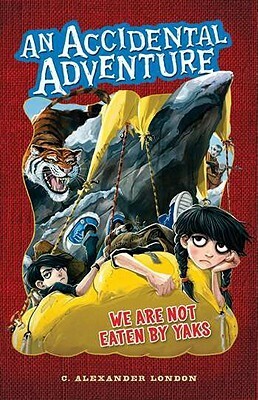 Oliver and Celia are eleven-year-old twins who have parents that love adventure, which means the twins staidly do not. They far prefer watching TV, and I think it is this fact that is drilled so heavily in the beginning that I got frustrated. The TV watching bit is obviously and important bit throughout the story, but the characters are almost irksome at the beginning because of it. Not unexpectedly, the twins are forced to go on their own adventure to save their father and hopefully their mother, who has been missing for three years. There’s a lot of humor and seriousness mixed in along with a lot of fun, far-fetched stuff that is easily appealing to middle-grade kids. The end is set-up for the adventures to continue, as their mother still remains missing at the end. Currently I am reading Catching Jordan, by Miranda Kenneally. 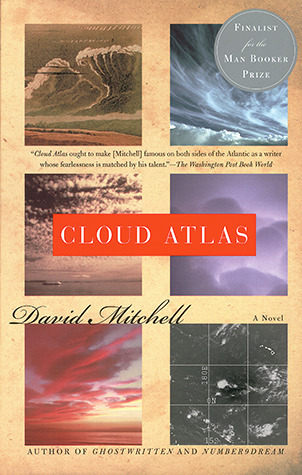 This entry was posted in Reading and tagged books, Charlotte Rogan, David Mitchell, Deb Harkness, G. Alexander London, Gayle Foreman, Lisa Scottoline, reading, Recent Reads and Recs, Robert Ludlum, Stephen King. Bookmark the permalink. I just finished Wintergirls by Laurie Halse Anderson and would definitely recommend it for your next YA read. I’m keeping a list of your recommendations for ‘some day,’ Janet!